Greetings & Salutations from Toronto! Pleased to let all know that 2014 marks 25 years for Tamarack Productions. The company began in 1989 to produce the documentary series As Long As The Rivers Flow about Aboriginal issues in Canada. Our current production In Search of Blind Joe Death – The Saga of John Fahey has been screened on four continents, aired on BBC and will be coming soon to iTunes. It’s been a good trip so far! To mark our 25th anniversary, we introduce a new website. Thanks to Jamie Chirico of Toronto for her design chops. COME SEE OUR FILM IN NEW YORK CITY!!! “In Search of Blind Joe Death – The Saga of John Fahey” starts its American theatrical run at Cinema Village in Greenwich Village August 16-22. Our effort is twinned with a boffo film about guitarist Nels Cline. Tamarack Productions, Toronto, Ontario, Canada, Planet Earth. In Search of Blind Joe Death – The Saga of John Fahey, Tamarack Productions documentary film about the late American guitarist, composer, author and provocateur, continues to gain international attention. In April, the film will have its South American premiere at the Buenos Aires Festival of Independent Cinema (BAFICI) and will also screen at the Belfast Film Festival in Northern Ireland. Last month, it was shown at the Glasgow Film Festival. In the summer, the film will screen in Madrid at the Transmissions Film and Music Festival; at La chaise (les tabourets) in Paris; and in Copenhagen at the Danish Film Institute/Cinematheque. It will also be featured at the Revelation Perth Film Festival in Australia. Additional screenings are anticipated in Australia. Fahey (1939-2001) is known as the godfather of American primitive guitar. His approach to blues, Brazilian, Appalachian, European classical, Gothic industrial ambiance and Indian music influenced many musicians including Pete Townshend of The Who, Joey Burns of Calexico and Chris Funk of The Decemberists who all appear in the film. Canadian distribution: V Tape. USA: First Run Features. UK/Europe/Australia bookings: a better noise, Newcastle upon Tyne. As you may have noticed earlier on this blog, I am directing and producing a film about the wondrous guitarist, composer and provocateur John Fahey. I am delighted to report that our project is now up on Kickstarter – a very cool, successful on-line financing tool for artistic endeavours. We seek completion financing for this worthy documentary film project. John Fahey (1939-2001) is one of the world’s great guitarists. The father of ‘American primitive guitar’, a unique blending of classic guitar styles with Delta Blues and Appalachian influences, Fahey is a transformational figure in modern music. He’s the subject of Tamarack Productions’ latest film “In Search of Blind Joe Death: The Saga of John Fahey.” The film will be released this autumn, 2011. Musicians such as Pete Townshend of The Who, Joey Burns of Calexico, the pianist George Winston and Chris Funk of The Decemberists pay tribute to Fahey’s influence in our documentary. We follow Fahey’s trail from his beginnings in Takoma Park, a Washington D.C. suburb, to California where he recorded some of his most memorable music, and to Oregon, where Fahey spent the last twenty years of his life. 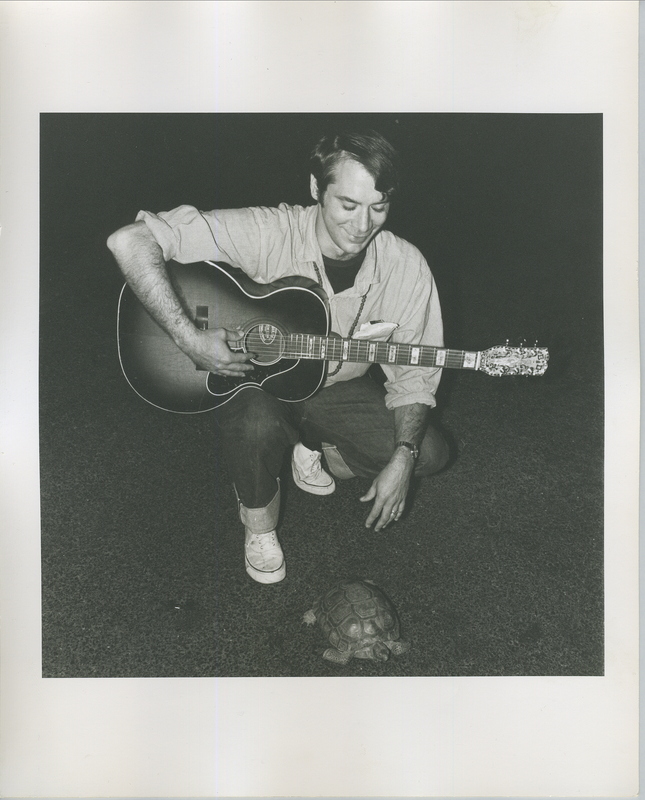 John Fahey was a trickster, a raconteur, a wonderful writer, a self taught naturalist (with a particular interest in turtles! ), a fount of knowledge about American and other musics, and, above all, a brilliant composer and guitar player. My own saga with John Fahey began in 1982 with a radio documentary I produced about him for the Canadian Broadcasting Corporation. Ever since, I’ve been inspired by his music, comforted by his bent humour and fascinated by his ever rippling artistic legacy. This labour of love will be completed this autumn – I can’t wait for you to see it. Thanks to the John Fahey Trust, Oregon Public Television, Executive Producer JoAnn McCaig of Calgary, the School of Communication Arts of Seneca College in Toronto and American consulting producer Doug Whyte of Portland, Oregon for their invaluable assistance in bringing this dream ever closer to light. 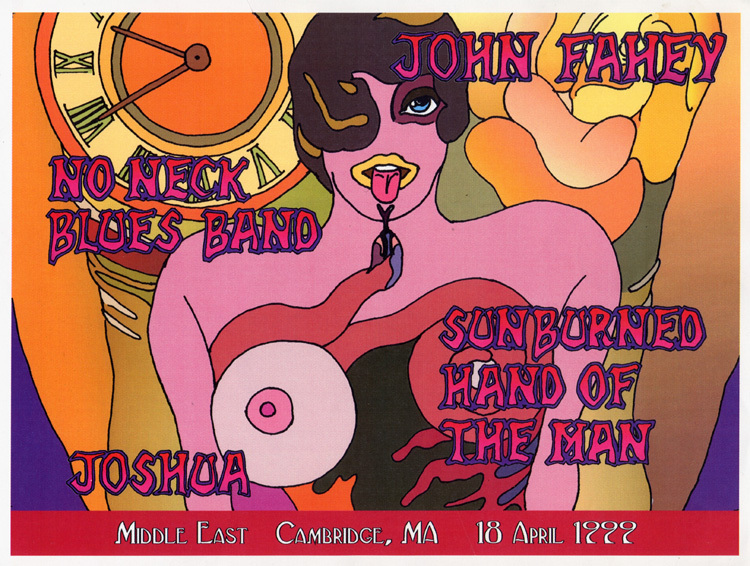 on the “In Search of Blind Joe Death: The Saga of John Fahey” page on that ‘social network’ we’re all aware of. We will also be launching a Kickstarter fund raising campaign shortly.